This is a guest post from Matt at Capes on Film, a fantastic blog about superhero culture and comic book films. If you are a fan of capes, comics or films, you have to follow this blog! Earlier this week, Paramount and Marvel Studios announced the box office tally for Captain America: The First Avenger (CA), and much was made about its strong showing overseas. The Hollywood Reporter ran a story with the headline "Box Office Shocker" - implying that many experts thought Cap would get a lukewarm reception outside the USA. As it turned out, it actually earned more abroad than it did at home. It did especially well in Latin America and Europe. In the UK, the movie had a strong showing, but Thor proved more popular with $22.5 million in ticket sales to Cap's $15.5 million. To date, the superhero tentpole has grossed $178 million internationally, compared to $173.5 million at the domestic box office. The overseas tally includes a strong $5 million opening in China over the Sept. 9-11 weekend. I posted an article in July that talked about the decision to distribute the film overseas with the full title instead of simply The First Avenger. 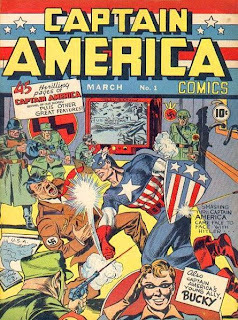 It was thought by some industry experts at the time that having "America" in the title would turn off audiences in Europe, Asia and elsewhere. Eventually, the only countries that chose to distribute CA with the shortened title were Russia, Ukraine and South Korea. As some astute commenters noted on the THR site, the bigger story here might be the relatively small American box office for CA - especially for such a well-known character and heavily promoted film. To paraphrase what one person said in the comments - This is studio "spin" to cover up CA's sub-par American box office. In 2010, American studios raked in three times as much overseas as they did domestically, so, of course, it follows that CA did well abroad. So, it's debatable whether or not CA was as much a financial success as it was a critical one. Let's leave that discussion for later. I'm wondering about some of the subtler points that CA's international popularity raises. What does it mean in terms of America's image abroad when a movie as America-centric as CA does so well in the current politically charged climate? Could it mean that some of the anti-Americanism that seemed to be widespread across the globe a few years ago has lessened? Would CA have done as well in, say, 2004 as it did in 2011? We'll never know the answer to that one, but it's interesting to speculate. 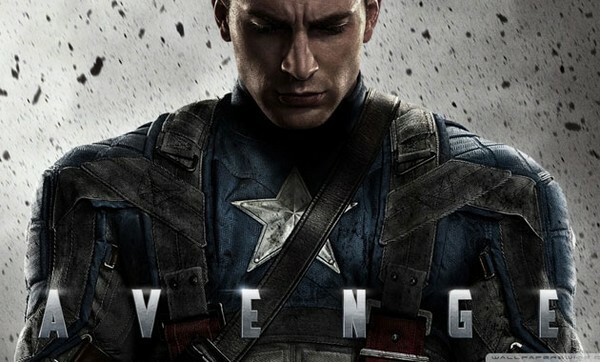 What did you think of Captain America: The First Avenger? Have any ideas on why it did so well around the world? captain america just a movie for entertainment. Hey Emm. I'm not surprised. 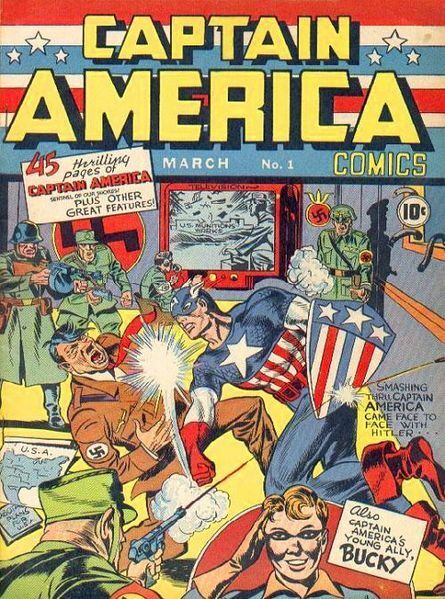 Captain America was awesome. I enjoyed the movie so much as well. But I'm sad today because CMFads is closing. I just lost a dollar because I didn't get to reach the cut off. GRRR. @ Rojak: Have you seen it? @ Haopee: Well, I wasn't sure at first because as you know, the naysayers shout the loudest. But I am glad that the real reviews are coming through and we've ordered this on Lovefilm.